surprise yourself with how many “onces” you can fit into a single day. we are bringing to you and in effect, spreading the wealth. Fill a large pot with cold water. Now squeeze the juice from a lemon into the water. 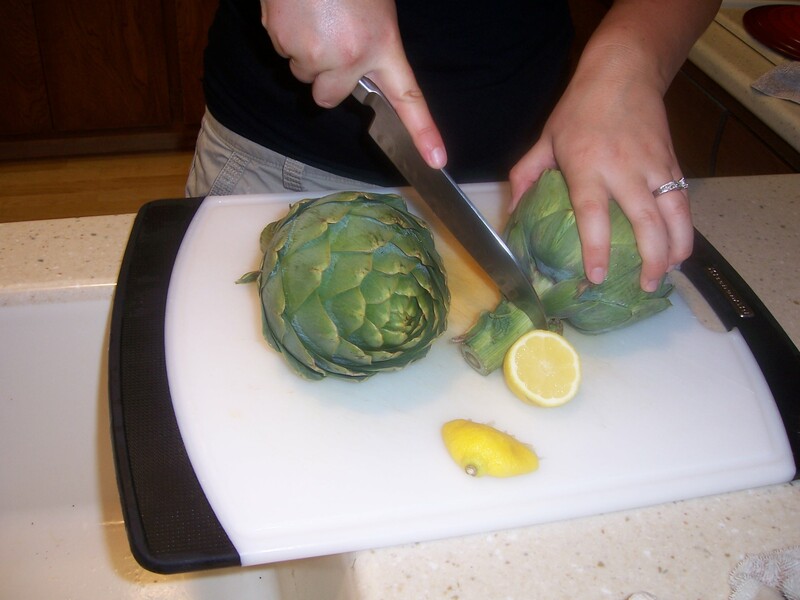 Trim the tops from the artichokes, then cut in half lengthwise. 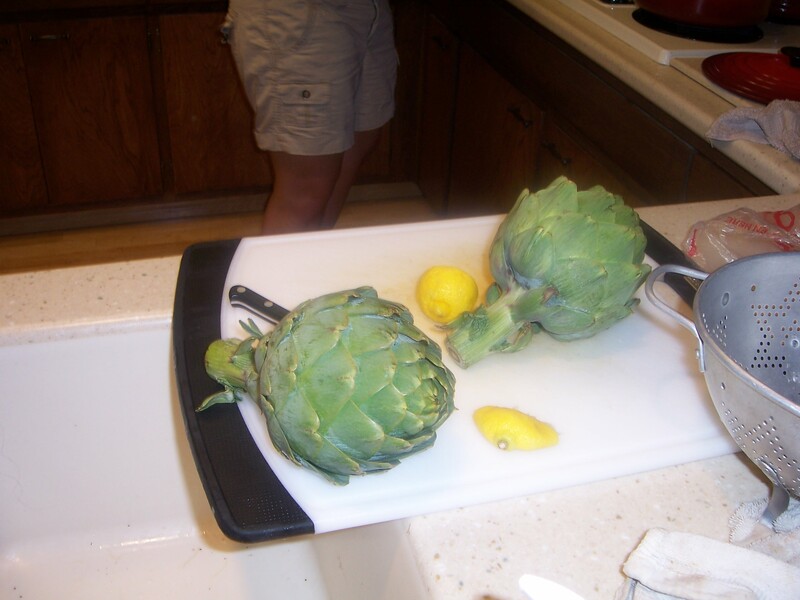 Place halves into a bowl of lemon water to prevent browning. Bring the pot of water to boil. 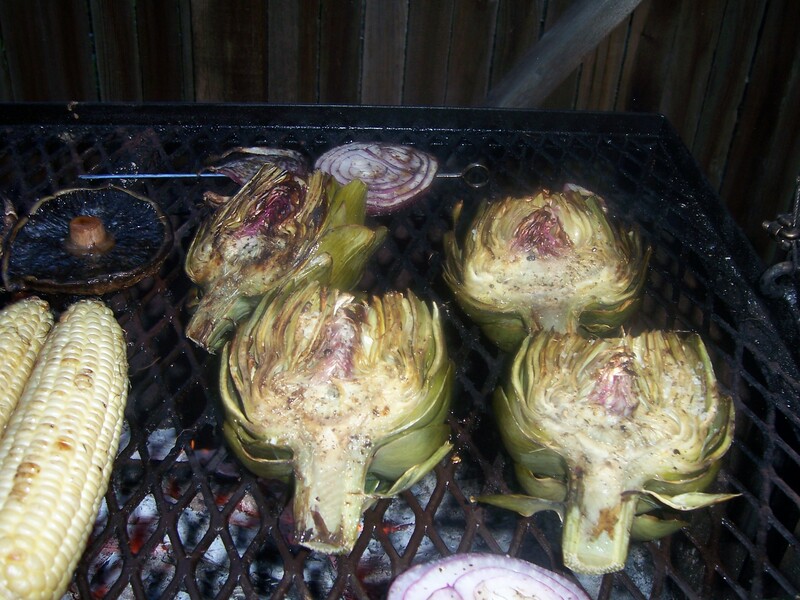 Meanwhile, pre-heat your outdoor grill to medium high heat. 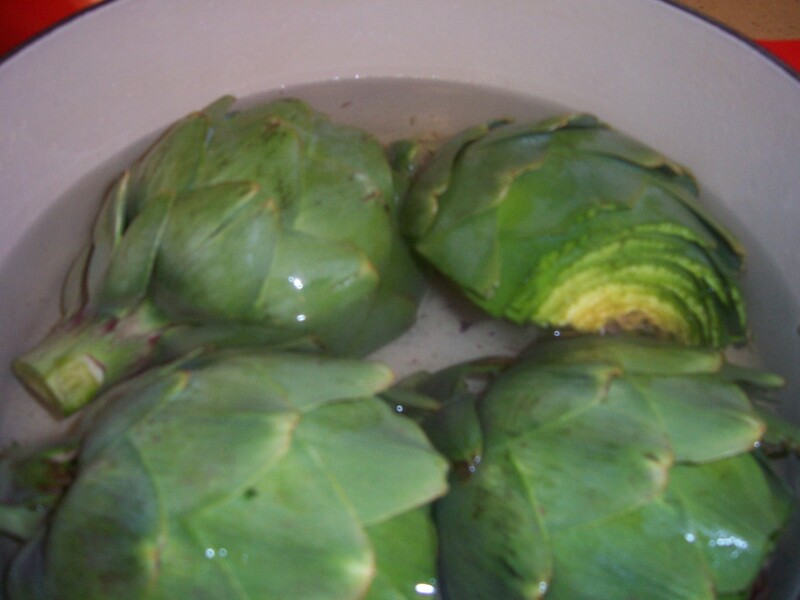 Add artichokes to the boiling water, cook for thirty minutes and drain. Squeeze remaining lemon wedges into a medium bowl. Stir in the olive oil and garlic and season with salt and pepper. 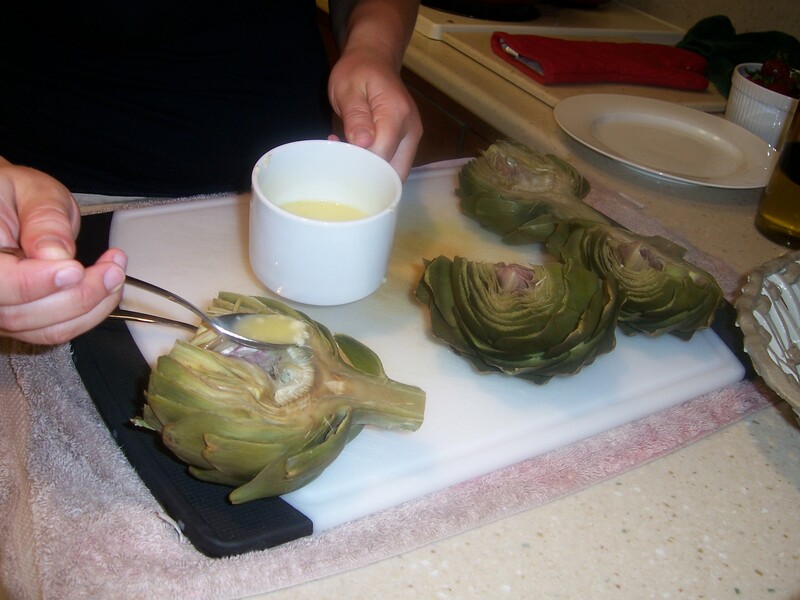 Brush the artichokes with a coating of this garlic dip, grill the artichokes for 5 to 10 minutes, basting with dip and turning frequently, until the tips are a little charred. Serve immediately with remaining dip. This entry was posted in Barbecue, Fatties in the Kitchen. Bookmark the permalink.